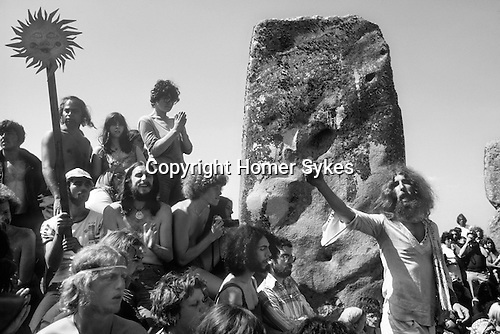 Hippies gather at Stonehenge to celebrate the summer solstice. John Pendragon a much revered poet, songsmith and editor of Tribal Messenger magazine extolling the virtues of an alternative life style. He died in 1998 aged 59yrs.